Scottsdale, Arizona.- The 25th Annual Leadership 100 Conference, which convened from February 18 to 21, 2016 at The Phoenician in Scottsdale, Arizona, began with a Trisagion Service on Thursday, February 18, conducted by His Eminence Metropolitan Gerasimos of San Francisco in memory of Michael E. Jaharis, a Founder of Leadership 100, Vice President of the Archdiocesan Council and leading businessman and philanthropist who passed away in the Lord on February 17. The Opening Forum was led by the new President of Hellenic College/Holy Cross School of Theology, the V. Rev. Christopher T. Metropulos and was followed by the traditional Bible Study conducted by His Eminence Metropolitan Savas of Pittsburgh in place of Archbishop Demetrios, who returned directly to New York to be with the Jaharis family. The Thursday afternoon Hellenism Forum featured a special presentation on the Benaki Museum by Pavlos Yeroulanos, who served as Greece’s Minister for Culture and Tourism, and included two rooms of Exhibits from the Benaki Museum, a prelude to a tour of the United States. The Exhibits opened with an Agiasmos Service conducted by Metropolitan Gerasimos. Some 375 members and guests attended the event, which included the annual meeting of the General Assembly on Friday, February 19, following meetings of the Executive Committee and Board of Trustees. Chris Caras of Palo Verdes Estates, California, a long-time member of Leadership 100 and outgoing member of the Executive Committee and Board of Trustees was recognized for his distinguished service at the General Assembly. Yeroulanos is the great-grandson of the museum’s founder, Antonis Benakis. The Benaki Museum exhibits, mounted at the Museum’s expense prior to a United States tour, comprised 40-50 exact replicas from the museum illustrating Greek art from the pre-historic to the contemporary period, a replica of the notable St. Nicholas Icon, and the original album of photographs from the first modern Olympic Games held in Athens in 1896. The Benaki Museum is the only museum in the world that covers the history and art of Greek Civilization from pre-historic times until today with a mission to safeguard and promote Greek culture, to study the links between periods of Hellenism and their interaction with neighboring cultures, and to provide visitors, students and scholars with a comprehensive narrative of the Greek impact on world history. In response to the economic crisis in Greece, the Museum has renewed its commitment to vigorously promote Greece and Hellenism around the world and has refocused its energy to advance a new and positive narrative for the country and the continuing significance of Greek culture with the objective that all Hellenes, philhellenes and people everywhere may reconnect with or learn of the perennial contributions of the Greeks to all human endeavor. After presenting a short video on the Benaki Museum at the Grand Banquet on Saturday, February 20, Yeroulanos accepted on behalf of the Benaki Museum the Archbishop Iakovos Leadership 100 Award for Excellence. Another highlight of the Conference was the “Symphony at Sunset” concert conducted by Leadership 100 member Peter Tiboris on Thursday evening, through the generous support of Michael and Kay Johnson. Tiboris dedicated the concert to Michael Jaharis, noting that Archbishop Demetrios accompanied by Jaharis, often visited him backstage at his concerts at Carnegie Hall in New York City. The Rev. Dr. John Chryssavgis, Archdeacon of the Ecumenical Throne, delivered a special lecture on the forthcoming historically significant Holy and Great Council of the Orthodox Church on Friday, February 19. Dr. Chryssavgis, who also serves as theological consultant in the Office of Inter-Orthodox, Ecumenical and Interfaith Relations, spoke on the subject: “Toward the Holy and Great Council: Personal Reflections of the Forthcoming Historical Assembly in Crete”. The Holy and Great Council, the first such assembly in 1,200 years, was originally to take place at the Church of Haghia Irene in Istanbul, but political developments stemming from Syria’s four-year civil war necessitated a change of venue to the Orthodox Academy of Crete in Kolympari of Chania, Crete, from June 16 to 27 in 2016. In confirming the decision to move the event, the Synaxis of the Primates of the Orthodox Churches, meeting at the invitation of His All Holiness Ecumenical Patriarch Bartholomew at Chambesy, Switzerland, January 21 to 26, 2016, finalized the texts for the Council. The items officially approved for referral to and adoption by the Holy and Great Council are: The Mission of the Orthodox Church in the Contemporary World, The Orthodox Diaspora, Autonomy and its Manner of Proclamation, The Sacrament of Marriage and its Impediments, The Significance of Fasting and its Application Today, and Relations of the Orthodox Church with the Rest of the Christian World. The Holy and Great Council has been on the table for discussion and preparation since 1961, although there were earlier proposals for such a council in the 1920s and 1930s, according to Dr. Chryssavgis. It will be the first time ever that representatives from all fourteen independent Orthodox Churches have gathered. Patriarchs, Archbishops and Bishops from the fourteen so-called autocephalous Orthodox Churches, including those for all the ancient Patriarchates except Rome, will attend. Decision-making is by consensus, rather than by the imposition of any one Church leader. Dr. Chryssavgis was born in Australia and received his degree in Theology from the University of Athens. He completed his doctoral studies at the University of Oxford. He co-founded St. Andrew’s Theological College in Sydney, where he served as Sub-Dean and taught Patristics. He also taught as Professor of Theology at Holy Cross School of Theology in the United States and directed the Religious Studies Program at Hellenic College. The author of numerous publications, he edited the three-volume series of the Ecumenical Patriarch’s collected works. His other publications include Dialogue of Love: Breaking the Silence of Centuries and Primacy in the Church: The Office of Primate and the Authority of Councils. The Business Forum, also on Friday, featured a prominent member of Leadership 100, James M. Orphanides, Partner and President of Centurion Holdings LLC. Orphanides spoke on trends in the United States and world economies and their political impact. He also addressed the young professionals on opportunities in the financial industry. Orphanides served as Chairman Emeritus of First American Title Insurance Company of New York and a Director until the company merged with its Parent, First American Title Insurance Company in November 2010. He worked for First American since 1992 in key executive positions and from 1996 through 2007 he was President, CEO and Chairman of the Board. Prior to joining First American, Orphanides was a Principal and President of Preferred Land Title Services, Inc. from 1982-1992. He was an Executive at Commonwealth Land Title Insurance Company from 1979-1982 and an Executive at Chicago Title Insurance Company from 1972-1979. He is currently the Chairman and CEO of USRealty.com. 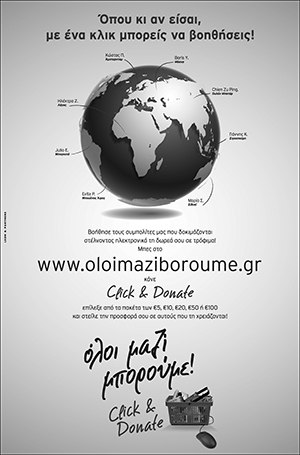 Orphanides has been actively involved in many not-for-profit organizations. He sits on the Boards of the Foundation for Medical Evaluation and Early Detection, Citizen Budget Commission, and CUNY TV Foundation. He is also a member of the Hellenic American Bankers Association (HABA) and the Economic Club of New York; TPC Golf Club at Jasna Polana in Princeton, New Jersey; the Nassau Club in Princeton, New Jersey, The Williams Club, now a part of the Princeton Club of New York and The Metropolitan Club of New York. Orphanides received a B.A. Degree from Heidelberg College and an M.A. Degree from Queens College of New York. 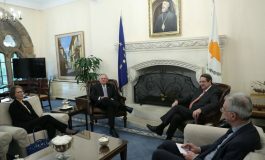 Orphanides has three children and currently resides in Princeton, New Jersey with his wife Nora. The Saturday Forum was conducted as a dialogue between Mike Manatos, a member of the Executive Committee and the featured speaker, Eleni Tsakopoulos-Kounalakis, former U.S. Ambassador to Hungary, who has published a book on her experiences in that post. The discussion involved international relations and domestic politics Eleni Tsakopoulos – Kounalakis also touched on the subject of her recently published memoir, Madame Ambassador: Three Years of Diplomacy, Dinner Parties, and Democracy in Budapest. She served as U.S. Ambassador to Hungary from January 7, 2010 to July 20, 2013. The memoir, released on May 5, 2015, recounts her experiences being vetted for the position with no background in diplomacy, attending an ambassador “charm school” and an intensive training session. However, in taking up her assignment in the former Soviet satellite, she felt that nothing could have prepared her for the realities of life in Hungary. A property developer in California, she has been politically active, serving as a delegate to the Democratic National Convention four times. She and her husband Markos founded two university chairs in Hellenic Studies, at Georgetown and Stanford Universities, and a lecture series at the Woodrow Wilson International Center for Scholars. She has been awarded the Medal of St. Paul by the Greek Orthodox Archdiocese of America. The former Ambassador was presented with the Archbishop Iakovos Leadership 100 Award for Excellence for her public service and in upholding Hellenic values at the Grand Banquet on Saturday, February 20, 2016. Golf and Tennis Tournaments and Awards, and a Walk/Run filled out the day’s activities. A program of youth activities was organized by Maria Behrakis and Elaine Cotronakis and included a session on the work of International Orthodox Christian Charities (IOCC) and on iconography, the latter organized by the staff of the Benaki Museum. 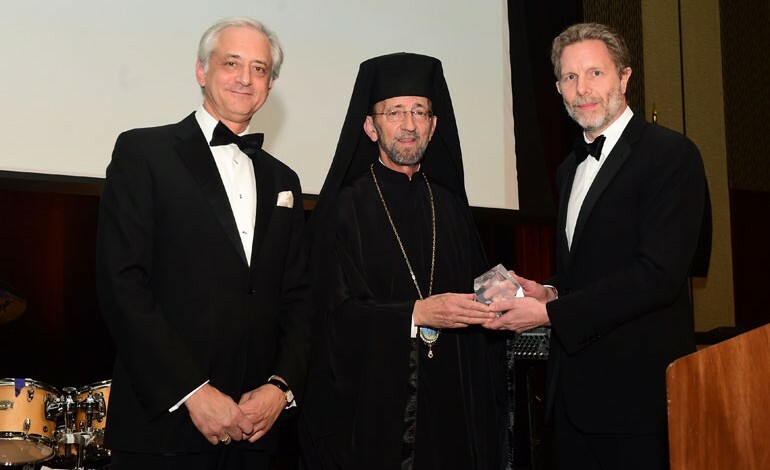 At the Grand Banquet on Saturday evening, the Archbishop Iakovos Leadership 100 Award for Excellence was presented to the Benaki Museum, accepted by Yeroulanos, and to Ambassador Tsakopoulos-Kounalakis. Prior to the Banquet, new and fulfilled members were recognized with the presentation of Icons and Obelisks.